Destroy the Archer Towers and Air Defenses and then deploy your Balloon. Deploy 2 Giants per side to distract the defense. 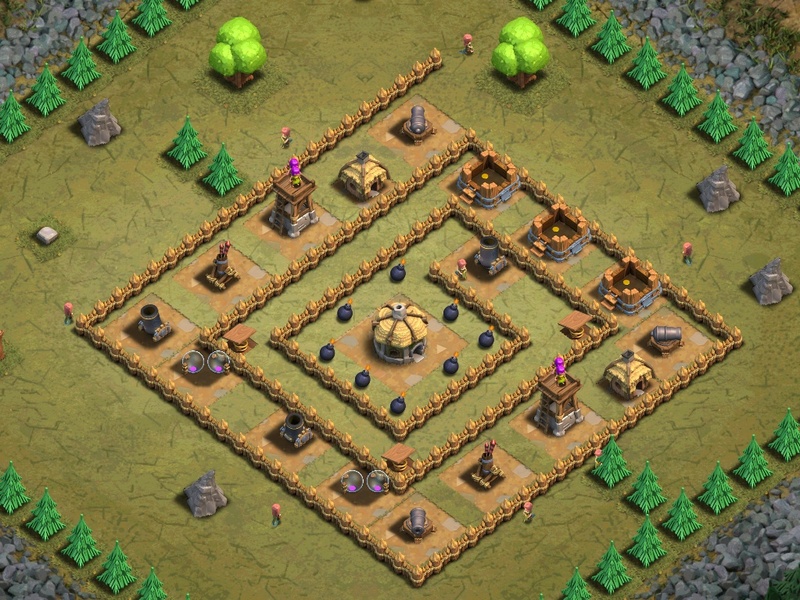 Deploy 10 Archers per air defense and archer tower. When the 2 Archer Towers and 2 Air Defenses are destroyed, deploy your Balloon. 6+6 Level 2 Balloons is not enough (confirmed), 8+8 Level 2 Balloons was enough though 7+7 may work if the Balloons target the Air Defence and then the Archer Tower (confirmed). This map does not look like Fool’s Gold on my account… I’m on IOS.